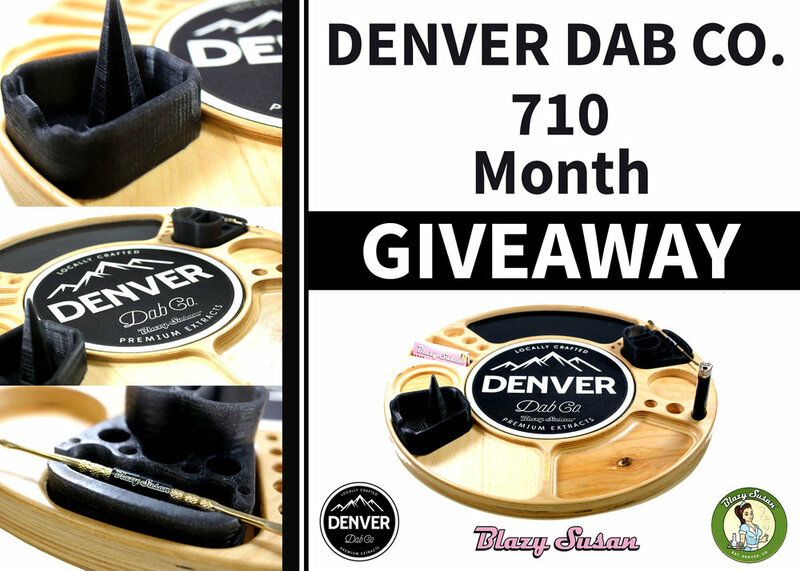 Promotions - Denver Dab Co. | Contests, Raffles, Prizes, Top Customer — Denver Dab Co.
• One DDC Branded Blazy Susan with Dab Pad • Two 3-D custom made Black Silicone Removable Inserts • Blazy Susan gold-plated stainless-steel Dab Tool with silicone grip • DDC T-shirt • DDC Dab Tool • Variety pack of DDC Stickers • DDC Lighter • One FREE DDC gram • and MUCH MORE!! This contest ends on 7/31/18 at midnight and ONE WINNER will be selected at random by our DDC team and announced in August. 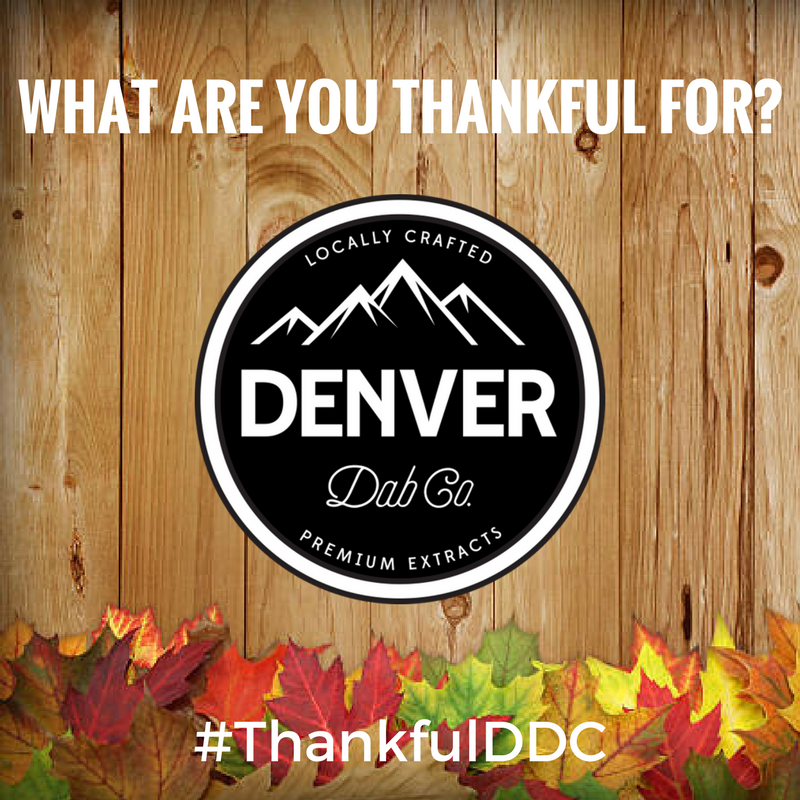 This contest is open #statewide (#CO only) Only ONE Entry per day Must be 18 years or older (with VALID MED card) or 21+ (REC) DDC Swag Pack includes: (1) DDC T-shirt, (1) DDC Dab Mat, (1) DDC Lighter, (1) DDC Dab Tool, (1) FREE DDC gram, and a VARIETY of DDC Stickers! The WINNER will be picked by our DDC Staff for best photo and announced the first week of July. COME ON COLORADO, GET OUT THERE AND SHOW US YOUR PICS! This exclusive raffle is open state wide (#CO ONLY) Ends on 4/20/18 and the #DDCWinner will be selected and announced. Must be OVER 18 (MED) / 21 (REC) to enter. Questions on rules? Check out our website or DM us. GOOD LUCK! Win BIG with #DDC & HEADYHITTERSGLASS BY HELPING US HIT 4200 INSTAGRAM FOLLOWERS! CO residents only. Ends once DDC reaches 4200 followers. #WINNER randomly selected & announced. One entry per day. Must be 18 year (MED) / 21 (REC) or older to enter. 01/17/2018: CONGRATULATIONS TO OUR LUCKY WINNER - @MEEEGANHARMON! Its open #statewide (#CO only). Ends at 11:59pm Thursday, November 30th. #WINNER randomly selected. One entry per day. Must be 18 year (MED) / 21 (REC) or older to enter. 12/1/2017: Congratulations to our lucky winner - @TOMRIDESABIKE! #DDC / #BAN Raffle WinnerS! Each Budtender Appreciation Night we participate at Cultivated Synergy, we will be raffling off killer prizes. A locally blown #RIG from @headyhittersglass w/ beautiful blue/green etching and 14mm directional banger. Each winner also receives s a #DDC swag pack. CO residents only. 18 years or older to enter. (1) Rig, (1) DDC T-Shirt, (1) DDC Lighter, (1) DDC Hat Pins, (1) DDC Dab Mats, and DDC Stickers. Its open #statewide (#CO only). Ends at 11:59pm Tuesday, October 31st. #WINNER randomly selected & announced. One entry per day. Must be 18 year (MED) / 21 (REC) or older to enter. 11/1/2017: Congratulations to our lucky winner - @narwheeds! Like | share | help! The Houston community is facing incredible devastation. Denver Dab Co. wants your love to help them rebuild after Hurricane Harvey. Through Labor Day and across ALL of our social media platforms we will be supporting the relief efforts by donating money to the United Way of Greater Houston. we are giving away a ddc prize pack TO ONE LUCKY WINNER each & EVERY MONTH. it's simple - post, hashtag #idabddc, Win! 1. 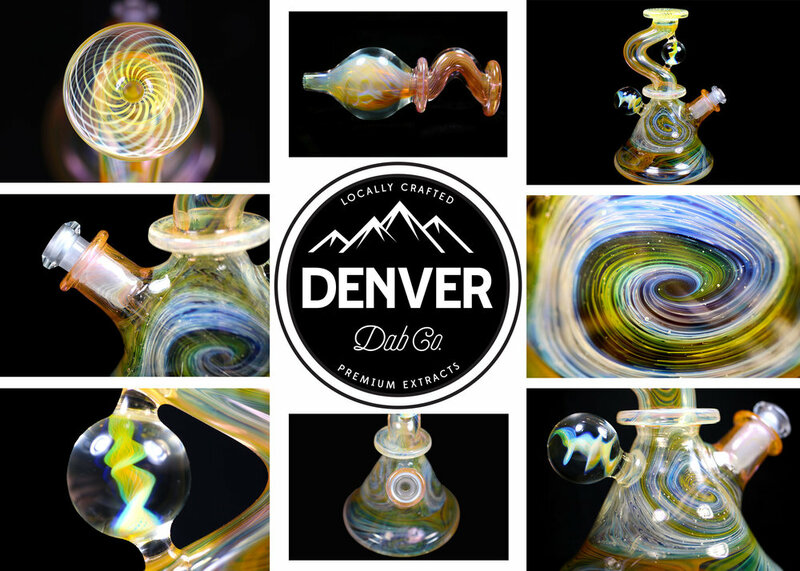 Follow @denverdabco on Instagram. Post a photo of your concentrate purchase with the hashtag #idabddc. 2. 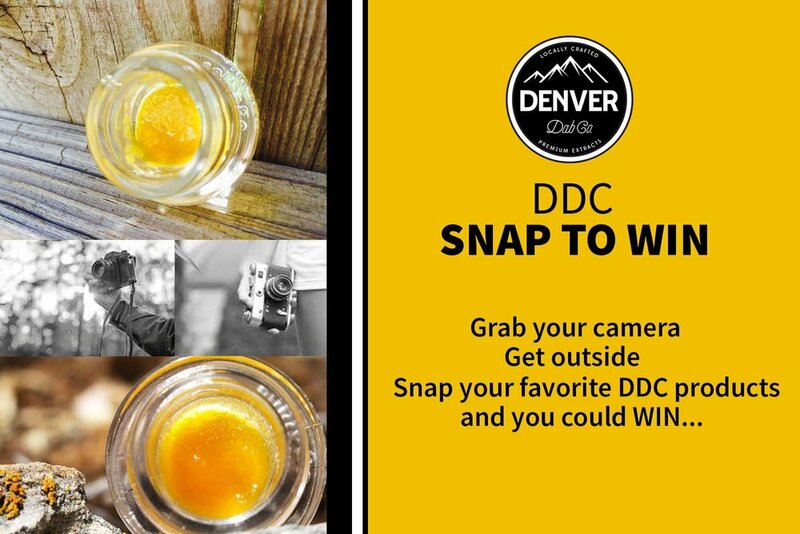 Send an email to contests@denverdabco.com with a photo of your concentrate package. The contest is open to Colorado residents only. Must be 18 years or older to win for Medical extract prizes. Must be 21 years or older to win for Recreational extract prizes. Grand Prize: Twelve (12) free grams of concentrate, giving out on the 1st of each month for 12 months. A maximum of six (6) grand prize amounts will be awarded. 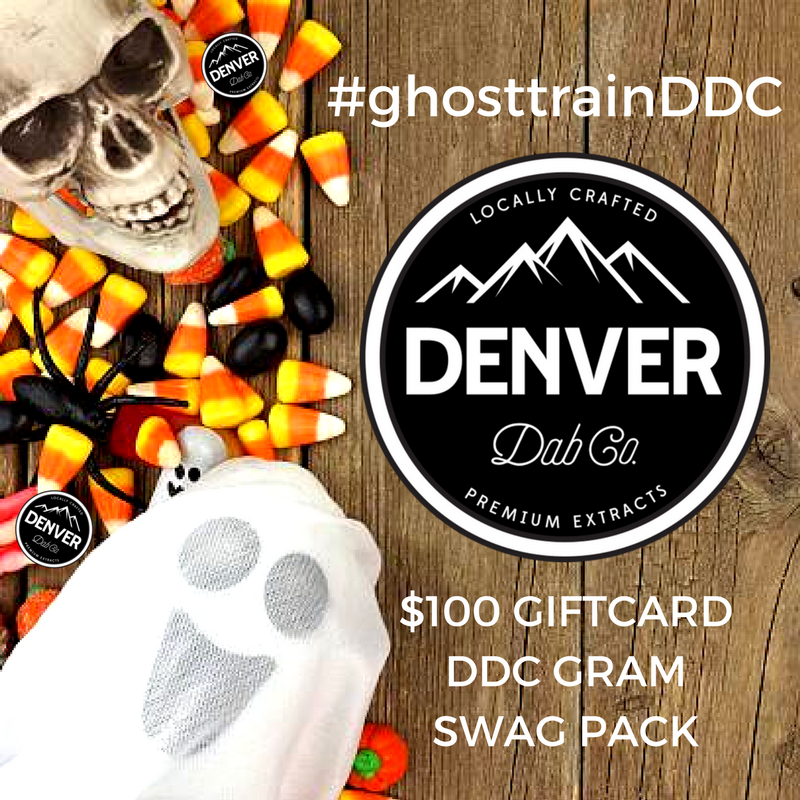 Swag Pack Prize: An array of Denver Dab Co promotional items - NO concentrates include with this prize, giving out at the first convenience of Denver Dab Co. A maximum of fourteen (14) swag pack prize amounts will be awarded. CO residents only. Contest ends April 19th at 11:59PM with drawing on April 24th. One entry per day. Must be 18 year or older to enter. Winner randomly selected. 4/24/2017: Congratulations to our lucky winner - @missdubbb!